Manipal: July 29, 2015: The Roopak Kala Academy, Udupi, along with Sangeet Bharati Foundation, Mangaluru, will be organising a day-long classical music programme at the Golden Jubilee Hall in Manipal on (Sunday) August 2. Damodar Bhagvat, President of Roopak Kala Academy, told presspersons here on Wednesday that the programme is being held to felicitate (“guru vandana”) the 60-year-old tabla player K. Sathvijaya Bhat, who has trained over 1,000 tabla players in the last 20 years. Mr. Bhat hails from Katapadi near Udupi. A ‘B’ grade musician of All India Radio and television network, he has accompanied a number of well-known vocalists and instrumentalists over the years. The programme will begin at 9.30 a.m. with singing of devotional songs by Ravindra Prabhu accompanied by Ganapathi Prabhu on the harmonium and Shrivatsa Sharma and Abhijith Shenoy on the tabla. This will be followed by a vocal “jugalbandhi” by Raghunandan Bhat and Balachandra Prabhu accompanied by Sudheer Nayak from Mumbai on harmonium and Deepak Nayak and Rajesh Bhagvat on tabla at 10.30 a.m.
Unmesh Khaire, a 12-year-old child prodigy from Raighad and disciple of Pandit Tulsidas Borker from Mumbai, will give a harmonium solo performance at noon, accompanied by Deepak Nayak on tabla. In the afternoon session, Sangeetha Balachandra will sing dasara padagalu, accompanied by Prasad Kamath on harmonium and Madhav Acharya on tabla, at 2.15 p.m. This will be followed by singing of Marathi bhajans by Shilpa Bhat and “Natyageeth” by Shantheri Kamath. Ustad Rafique Khan from Mangaluru will give a solo sitar recital accompanied by Pandit Omkarnath Gulvady from Mumbai on tabla at 3.45 p.m. The “guru vandana” programme of Mr. Sathvijaya Bhat will be held at 5 p.m. This will be followed by “dasavani” by Puttur Narasimha Nayak from Bengaluru accompanied by Narendra Nayak on harmonium, and Sathvijaya Bhat and Rajesh Bhat on tabla. 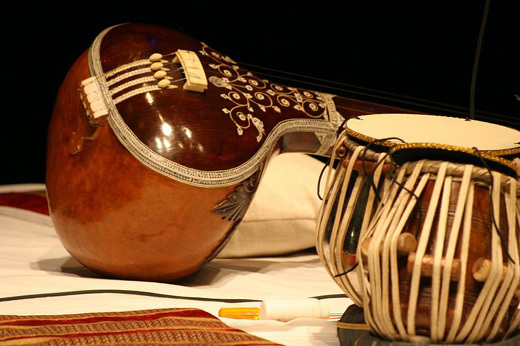 The programme will conclude with a tabla solo by Pandit Omkarnath Gulvady with Sathvijaya Bhat on harmonium at 7.30 p.m. The day-long programme will be inaugurated by Shivanand Saraswathi Swami of Kaivalya Mutt at 9 a.m., Mr. Bhagvat said.